Support from Orange Romania, and since 2013 from Fundația Orange, has enabled ADEPT Foundation to develop a unique role in Romania, contributing to the prosperity and economic stability of thousands of small-scale farmers, while protecting High Nature Value landscape which are unique in Europe. Fundația Orange Romania have co-financed all the ADEPT activities: innovative measures to support the small-scale farming communities of the area, linked to (and deriving direct benefits from) the conservation of high nature value cultural landscapes in which they live. Fundația Orange support is focussed on building up the economic viability of small-scale farming communities, using an innovative approach in communications with small-scale farmers and producers, and in starting up economic and community development activities. ADEPT successfully demonstrated that these landscapes can be a source of rural economic welfare, local identity and national pride. Orange/Fundatia Orange has provided direct financial support to ADEPT of over 1 million Euros in the last twelve years: through good use of funding possibilities, this support has been increased 10-fold: ADEPT activities on the ground have resulted in extra income for farmers and rural communities in the Târnava Mare area of more than 2 million Euros per year. In recognition of the importance of rural development activities and biodiversity conservation in the Sighisoara-Târnava area over 7 years, in December 2012 ADEPT won top prize in Europe for communicating with farmers and rural communities. This award won by the ADEPT Foundation, in recognition as a European model of communication, is due to the strong links with Orange Romania, which we hope will continue in the future. 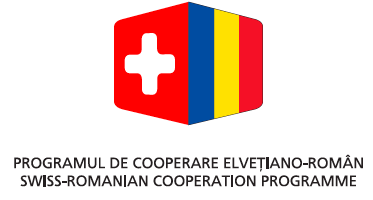 For more information about Fundația Orange and its activities in support of the ADEPT project, see (Romanian language only) www.orange.ro/about/comunitate-ro.html.